One of the first things you are asked when spinning up a new server in SpinupWP is which Server Size you would like to choose. Thankfully, most server providers allow you to upgrade your server size at a later date. 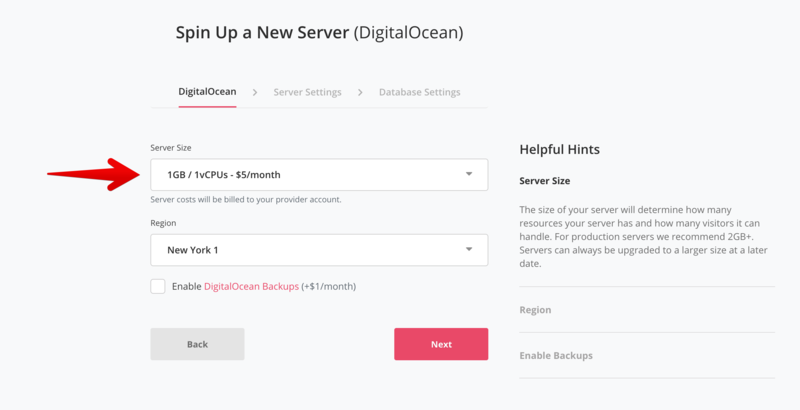 This means that you can safely choose a smaller server, to begin with, and scale up later as needed without being tied into the size of the server from the beginning. We specify a minimum of 1GB for running a SpinupWP WordPress site properly. For production sites we recommend you start with a 2GB+ server. Lot’s of smaller sites can be hosted on a single server if page caching is enabled (we’ve seen 45 sites on a 4GB server). For bigger, more intensive, or dynamic sites (such as e-commerce sites) we recommend hosting these on their own, slightly larger, servers. In our testing, we actually discovered that a correctly set up server with proper caching enabled can theoretically handle 40+ million requests per day on a 512MB, $5/month server. While we wouldn’t recommend pushing your server to these kinds of limits, it goes to show that you might not need quite as big a server as you might imagine. When Should I Upgrade My Server? Before you can decide if you need to upgrade your server, you will need to know how your server resources are being used. Most server providers offer some kind of resource monitoring (CPU, memory, disk space etc.) as part of their service. 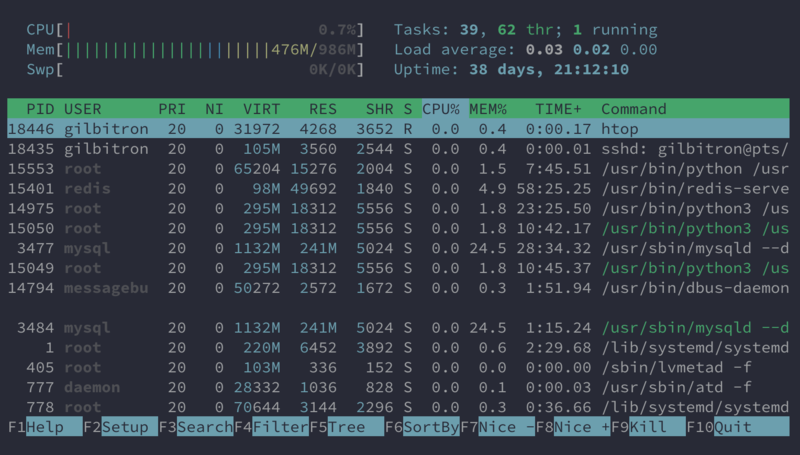 If your server provider doesn’t offer this, you can SSH to your server and use tools such as top or htop to find the same information. As a general rule, we recommend you try and keep server memory usage at 60% or below to allow for traffic spikes. If your server CPU usage or memory usage is consistently high then it might be time to upgrade your server.